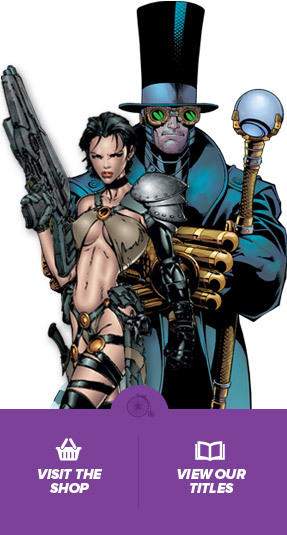 This sci-fi adventure collects the first six-issues of the Zendra comics mini-series into an exciting collocation of war, obsession, and humanity. Join HALLE as she learns what it means to be human in a universe where mankind is extinct and madmen rule. 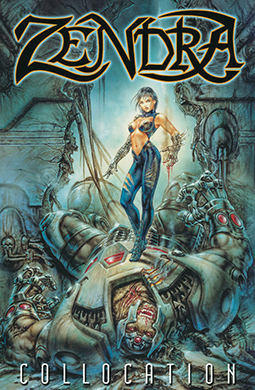 Bonus material and a painted wrap-around cover by acclaimed fantasy artist Luis Royo (Heavy Metal magazine) make this collection a must have for any sci-fi fan. (Mar. 2002) Softcover. 192 Pages. Full color.